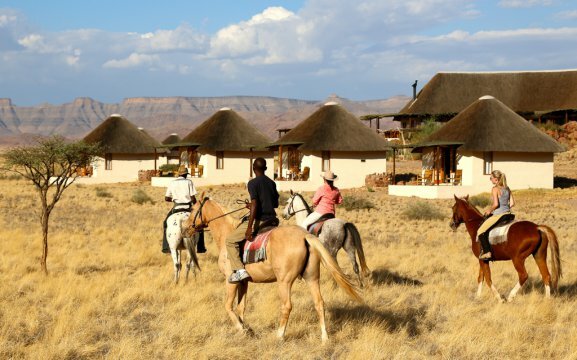 Desert Homestead Lodge Horse Trails offers a unique experience where guests can ride out onto our private reserve and sleep out in nature. 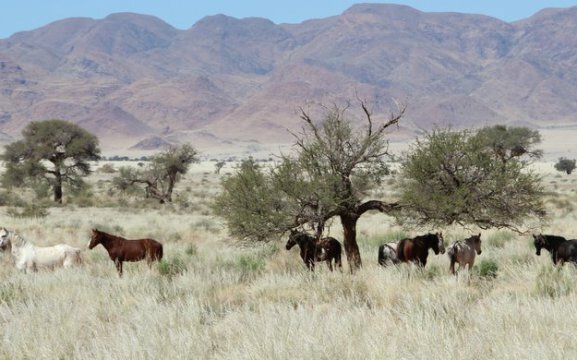 The reserve is situated in between the majestic red sand see of the Namib Desert and the rugged Naukluft mountains. 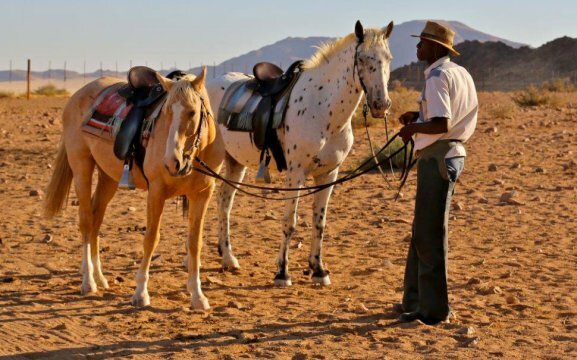 A horse ride in the Namib Desert most definitely is a very special experience. We offer guided rides twice a day, in the early morning and close to sunset. 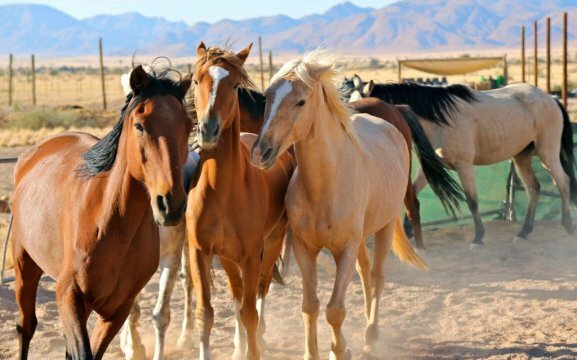 Guided trail rides start off from the Desert Homestead Lodge daily. 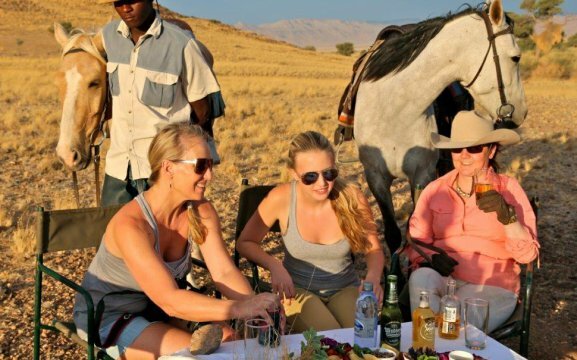 Horse riding safaris lasting several days can be booked by experienced riders as well as beginners. 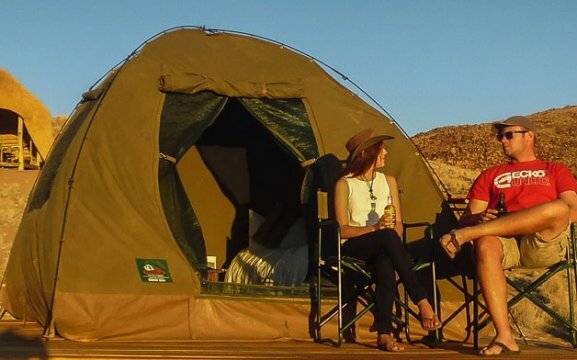 The nights will be spent in a romantic tent camp with dune view. 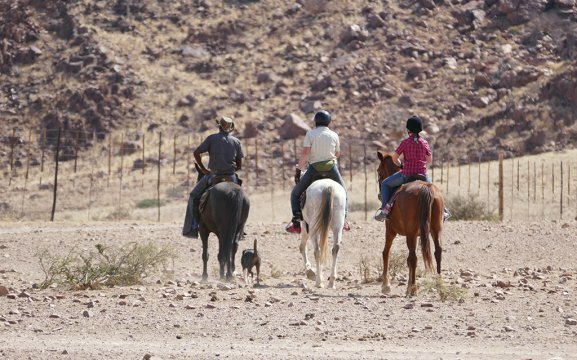 Or enjoy our new offer of the Namib Mountain trail, a guided full-day hike from Desert Homestead Lodge to Desert Homestead Outpost. 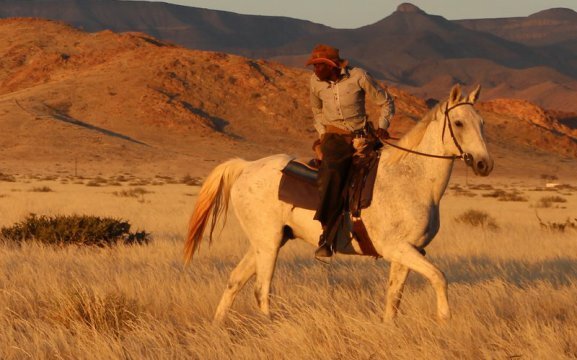 On the Sunrise Ride, guests will see the scenery as it varies from dry river beds to massive camelthorn trees, to mountain paths and wide open grassy plains. We then have a breakfast under a camelthorn tree with delicious spread of cheeses, cold meats, fresh bread and muffins, yoghurt with muesli and fruit platters. 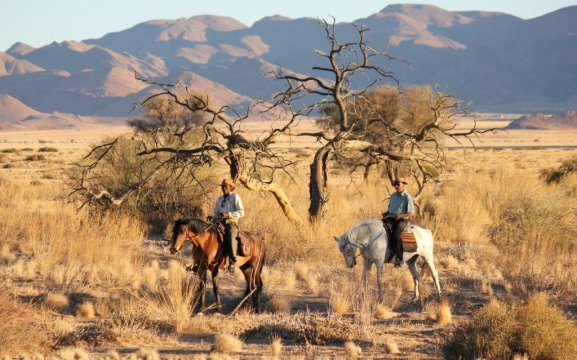 The Sunset Ride includes cocktails on a steep mountain track with an amazing Namibian sunset and beautiful scenery.